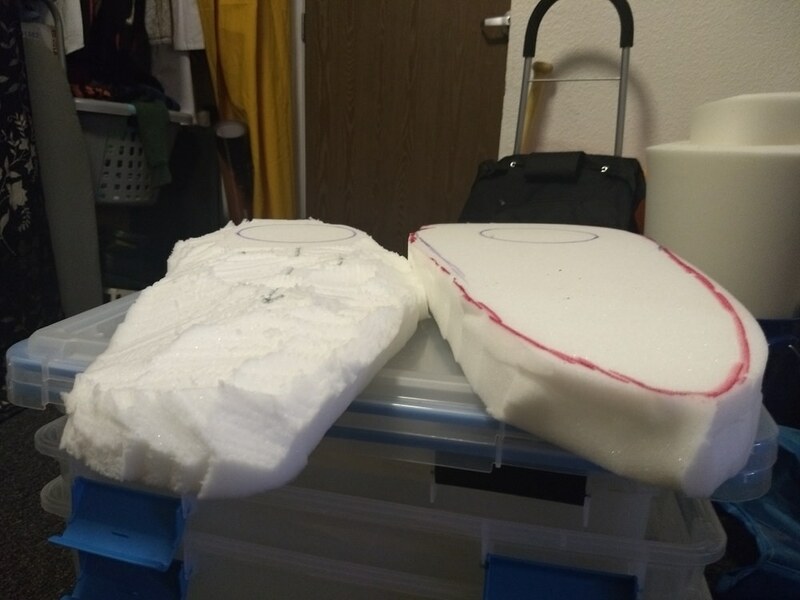 I'm working on padding for the first time. This is the first time working with foam and I kinda want some feedback on if I should keep going and start sanding and hallowing or should I start over. I have enough foam to start over but only one more time. Please be gentle. As long as the foam you have cut away is outside the shape you wish to eventually reach, you are OK.
You might also find a pair if small scissors will be helpful to do the fine shaping. It's like wood carving. You take away what you don't need. Unfortunately, foam is too soft to do any real shaping by sanding. Also realize that your pads will be compressed by what ever bodyshaper you choose. That means little imperfections will all get squished together, into a smoother shape. Hi hi Techy Gypsy!!! Like Miss Kiki said, you are well well on your way!! Go you!!! I actually use that exact same electric knife, lol!!! Great for carving turkeys, and foam!!! 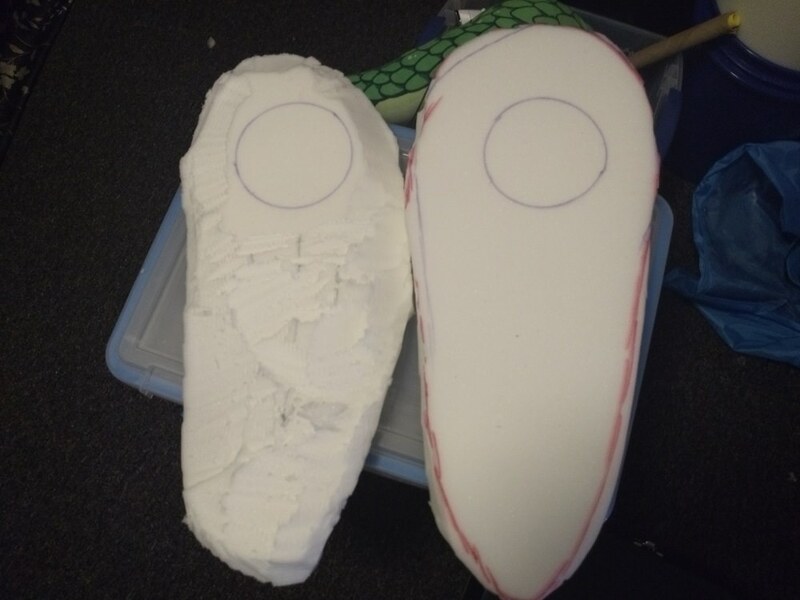 So for years and years and years I only used an electric knife and scissors as well to make and shape my padding. And it works great!! Looking at your current pics you're well on your way!! The only thing I would say is you need to taper it down more at the edges? Like, with my electric knife I start on the outside at a 45 degree angle and work my way in? Actually....I took some pictures with the intent of eventually making a detailed guide for padding. I'll throw some comments on them to hopefully explain what you're looking at and upload them! Anyway, good luck with your padding and let us know how it all turns out!! WANTS TO SEE PICS!!! !